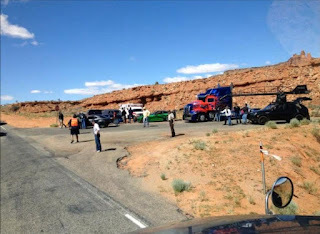 Fan-Girl.org has posted a bunch of pictures that show the core cast filming Transformers 4 in Taylor, Texas. 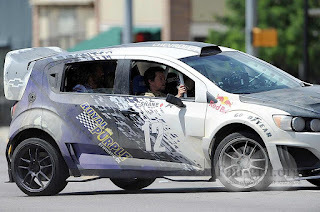 The pics in post are the key pics that show Jeff Raynor driving the Sonic RS Rally Car with Mark Walhberg in the passenger seat with TJ Miller and Nicola Peltz in the back seat. The rest of the images are variations of same and can be found here. 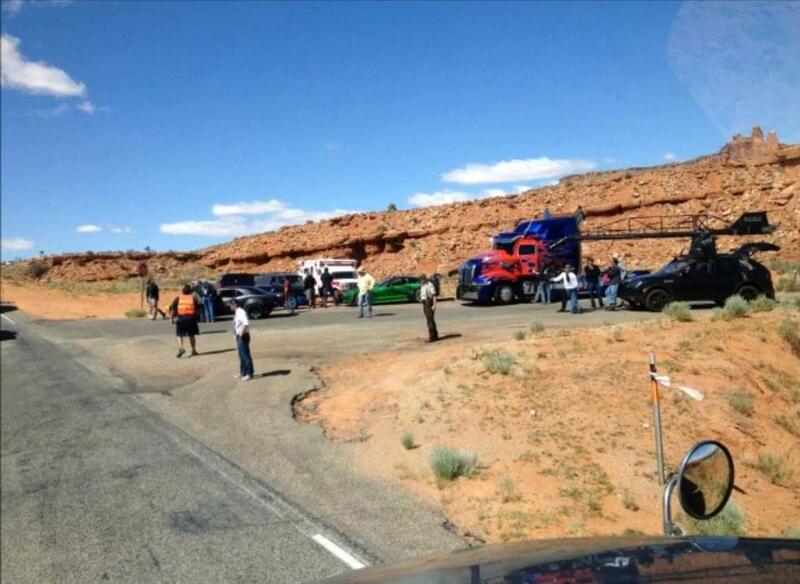 In addition, the last pic from Gyazo shows some of the Transformers cars together including the new Prime Truck, new Bumblebee, C7 Corvette Stingray. The main thing to focus on is the ambulance which looks like the same vehicle from the group shot from the end of May suggesting this is an alt mode of a Transformers. New mode for Ratchet perhaps or a new character? 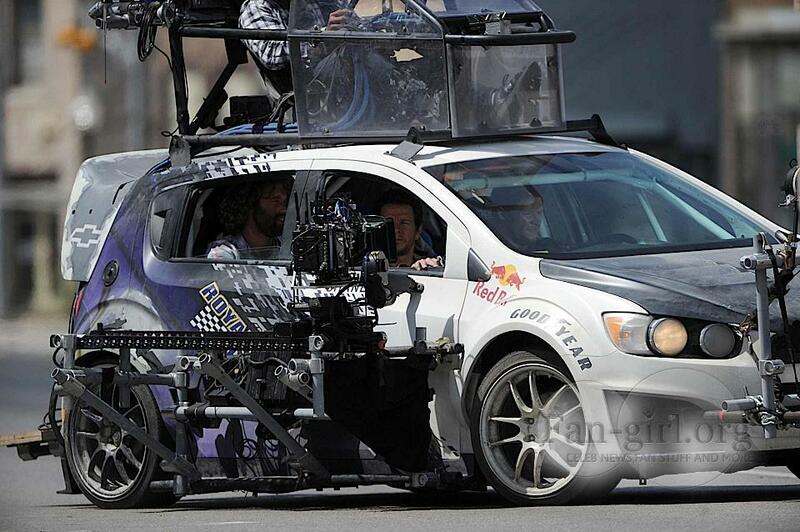 Its also possible its just there for safety reasons and not part of the film. Jack Reynor not Jeff Raynor.